Growing a business is more than selling your products and expecting your profits to double up. It is also understanding your market to allow yourself to get a better view of it. Algopix provides information that affects the producer’s competitiveness in the market. 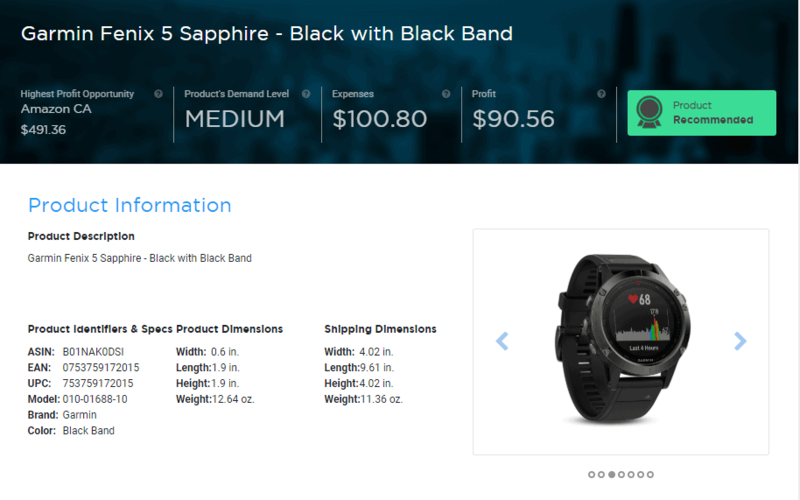 Through smart analyzation of the product’s demand, detailed expenses, and price recommendation, Algopix helps the online seller make the wisest decision without spending a lot of time and energy in doing dreary research about the product online. With this, you will be able to recognize the opportunities you will face that will help you expand your business and reduce any compromise that might result from your choices. Algopix will offer you a smart platform to let you compete with other markets. Algopix is a research platform that provides data that can be used by manufacturers in optimizing their sales online. It is the best tool in optimizing your business in eBay, Amazon, and Walmart and other markets, especially if you want to focus on expanding your reach while avoiding the risks of overstocking or giving the products the wrong price. By using smart technology, the demand for the product, the suggested price, the expense breakdown, the analyzation of competitors are at the disposal of the manufacturer. Step 1: Identify the product that you would like to do research. Step 2: Enter a text phrase or a product identifier. Step 3: Indicate the price of the item that you estimate it to be. Step 4: Choose the market interest where you would like to perform the research. The least is one market, and you can choose as many markets you’d like. Step 5: Select the product condition you will want it to be. Step 6: It is optional, but you can also enable Google AdWords Analysis by ticking its box. Step 7: Click the Submit button, and Algopix will search to provide the insights in real-time. Algopix offers many features in supporting you compete more effectively. It is widely used to assist the sellers to understand the marketplace in confidence of expanding their business while reducing the risk of backfiring. Algopix saves you a lot of time by providing smart research to deliver product insights that will let you increase your sales and reduce the risks you might face. With Algopix product search, you will be able to get the data you need to make the best knowledgeable decision for your business. eBay, Amazon, and Walmart sellers will appreciate the insights collated through 16 different marketplaces worldwide. With significant data like Product Identifiers, Recommended Market Price, Detailed Expenses Breakdown, Competition Analysis, Demand Level, Estimated Profit, and Total Sales Estimation, you can conclude better decisions that will influence your product. Understand the influence of your expenses to your income. 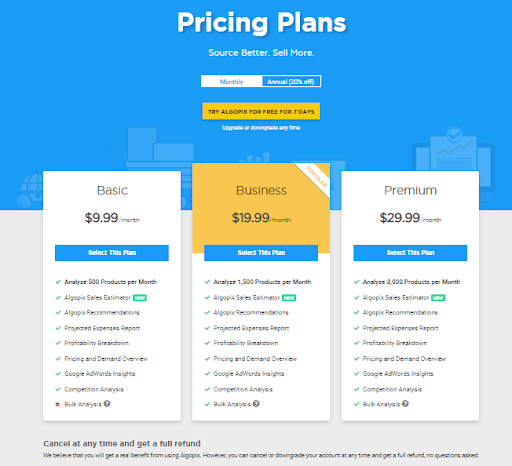 By providing the shipping fee, marketplace fees, PayPal fees, and market of interest taxes, you’ll be able to get a better view of how the expenses will affect your revenue. Algopix also offers a better understanding of your competitors’ data. You will be presented details about the number of sellers of the same product, buy box price, FBA availability, category mapping, and the rank of the product in Amazon’s catalog. Algopix Sales Estimator lets you make informed decisions that can result in increased sales and less risk of overstocking. 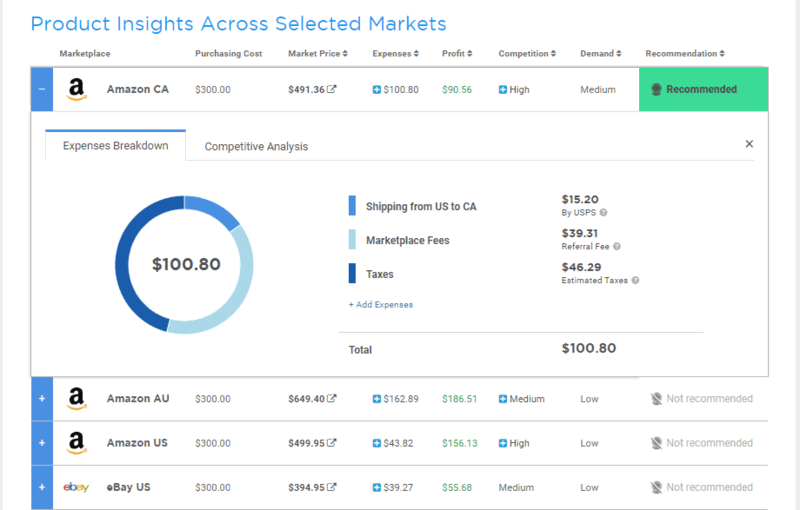 It source insights on the monthly sales volume and Gross Merchandise Volume on any product that sold on eBay, Amazon, Walmart, or throughout the marketplace to assist you in understanding the demand levels of the product. Being able to analyze many products at once will save you a lot of time. 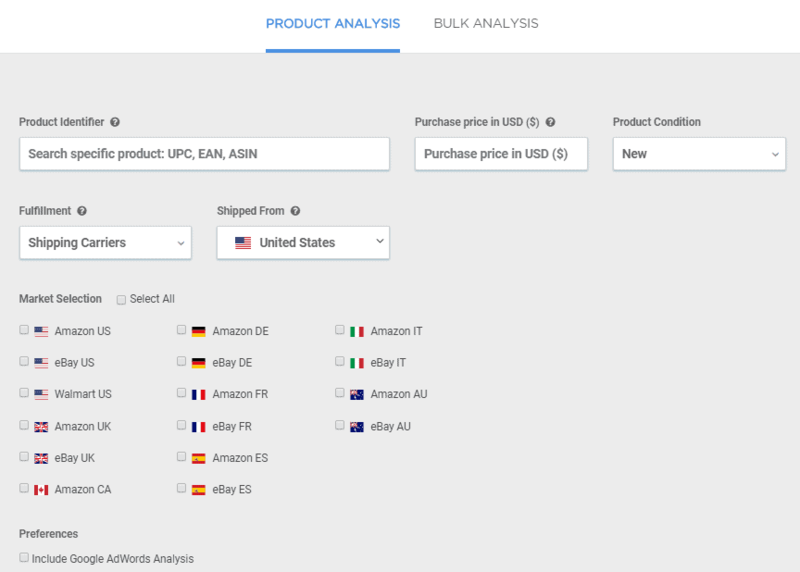 Algopix Bulk Analysis lets you input price quotations or products and allows you to understand its impact on the market. Algopix was founded by Ori Greenberg and Dani Avitz last 2015. Through the years that they ran an eCommerce agency, they realized that doing the market research needed to have developments. They decided to improve the manual process into smart procedures that will help the online market. Now with ten employees, Algopix is quickly making changes to the market and empowering the sellers to have many opportunities at their hands. 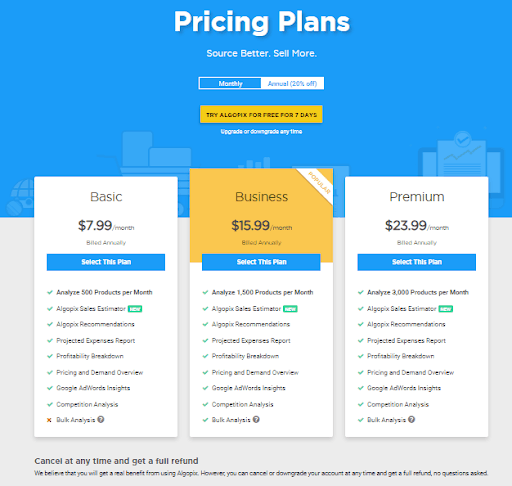 Algopix offers choices to choose from while keeping it under the budget. Algopix went all the way to revolutionize the online marketplace by providing a smart research platform. Given that the founders have extensive knowledge of how the eCommerce industry works, clients can benefit more for their business. Whether it is about expanding your business, comparing the market, or just simply starting up, Algopix goes all the way to deliver the important data needed to make decisions while utilizing the funds beneficially. Algopix aims to provide the sellers a way to compete better while having the least risk to your business. Algopix: Revolutionizing The Market With Smart Technology Overall rating: 0 out of 5 based on 0 reviews.